Michelle says: I REALLY liked the beginning of this book. I felt like the narrator had an authentic childlike voice, the mom was likable, and their visit to the museum seemed tense and plausible. The terrorist attack was wrenching and awful to read. Theo’s stay at the Barbour’s condo seemed just strained enough to be realistic as well. However, I didn’t like it so much when Theo got transported out to Nevada. I mean, wouldn’t the CPS folks still check on him? Wouldn’t somebody notice that he became this wasted burnout and his essentially deadbeat dad had no actual job before sending him off with him? Sure, maybe they were just glad to be rid of the nuisance of an orphaned kid who turned out to have an actual, although clearly negligent, parent, but still…I feel like there were some serious red flags here. Yikes. And the drugs. The drugs. Oh man, the drugs. I do wish there had been a little less of that. I mean, I get it, you know? Which brings me to my complaints: the novel was thoroughly researched which I definitely respect. But sometimes, it felt as if the author was being a bit of a pretentious know-it-all and her showing off the copious amounts of research took precedence over the flow of the story. Also, at times it felt like the story itself and the background on the painting were kind of cobbled together in a somewhat forced way. Take out The Goldfinch and you could sub in basically any painting. It seemed like the art piece itself kind of lifts out, so I wished it were a bit more seamless. But maybe that is just because I know zero about art. So, essentially, I guess I do like this book but it is TOO DARN LONG. I mean, Theo meanders around quite a bit, and then about halfway through, the book skips forward a whole eight years, (so clearly Tartt has no qualms about interrupting her chronology,) but I still feel like several hundred pages could be cut without damaging (and in fact, improving) the story. In particular, the private school in NY and the Nevada stuff could have been shortened A LOT. What could have been added was just how Theo got involved in the elaborate furniture sales deception, an anecdote about how Hobie got into making his composite pieces, how the two initially set up their work relationship, and more of Pippa (I adored Pippa!). Additionally, I think the slow pace of the majority of the book made the climax in Amsterdam feel hastily done. Overall, I guess The Goldfinch was worth reading and I mostly enjoyed it. However, I don’t think it will get a reread and I’m pretty sure I need to cleanse my palate with something mindless for a while! This entry was posted in 2 Dorks 1 Book, book club reads, Fiction, I Want My Money Back! 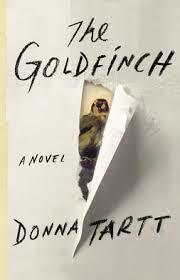 and tagged book club, Donna Tartt, The Goldfinch. Bookmark the permalink. Share book reviews and ratings with Kelley, and even join a book club on Goodreads. 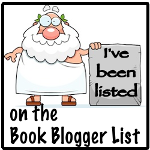 The Book Seer – get book recs!